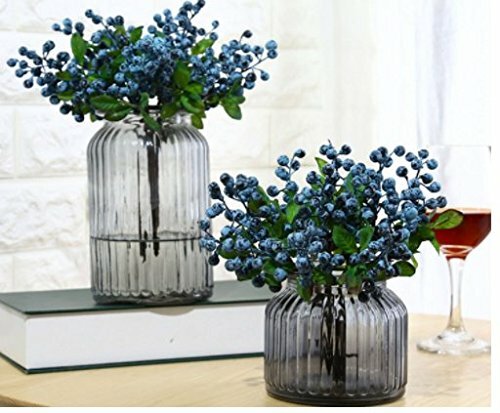 This item ismade ofdurable plasticwith vivid color.It is real looking and lifelike, which can brighten up yourkitchen or home.Also,The premium artificial berries can be fit most showcases, vases or combine with the other artificial fruits to decorate where you want. It is good for showcase in food trade , fruit shop , bakery etc. And it is also a great decor for your Christmas, parties or other festive occasions. - 100% brand new and high quality for durable decoration without fading. -Lifelike and realistic looking, bright and natural color. -A great photograph background setting item. -Perfect for house kitchen, counter, glass jar, model apartment, cabinet, store display, Christmas, party, kindergarten children's cognitive models etc. A great photograph background setting item. Perfect for house kitchen, counter, glass jar, model apartment, cabinet, store display, Christmas, party, kindergarten children's cognitive models etc. It is real looking and lifelike, which can brighten up your kitchen or home. If you have any questions about this product by URTop, contact us by completing and submitting the form below. If you are looking for a specif part number, please include it with your message.